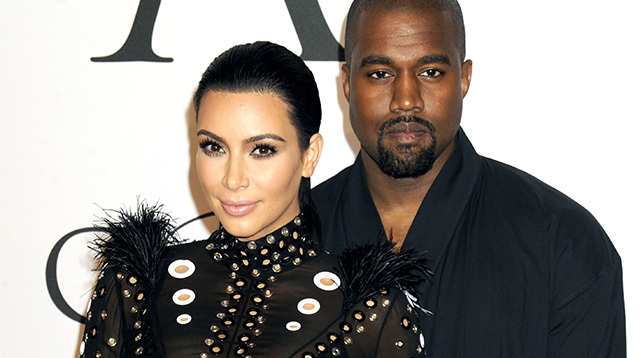 Kim Kardashian and Kanye West have named their baby son Saint West. The reality TV star gave birth to the little boy on December 5, and on Monday, the couple revealed their son's name in a post on Kim's website and app. There was no mention of a middle name, despite reports that Kim would add her late father Robert to her son's moniker. The news follows months of speculation the couple would choose another compass point for the little boy, after naming their two-year-old daughter North. She previously laughed off the claims, insisting the direction theme was a ridiculous idea. She did admit to Ellen DeGeneres she liked the name Easton, although hubby Kanye, was not a fan. In November she told People magazine that she and her husband were putting off choosing a name until the last minute. "It’s like the last thing that Kanye and I did when North was born," she said. "We didn’t name her for, like, seven days. I feel like it will just come to us."